Everyone could use a little more excitement in their lives which is why we are sharing with you, our loyal readers, the newest in extreme hobbies. 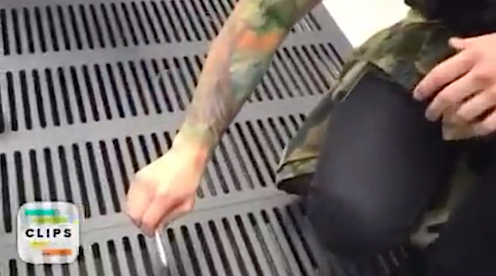 It's called Extreme iPhone Pinching - and it's not for the faint of heart. The oddly exciting event involves dangling your precious phone over damaging ground/heights while you pinch the very edge of it hopefully without letting it fall. We have a hard time watching these videos. So clutch your iPhones tight people and never let them go. Never. Let. Them. Go.